Cartier de Lune is the first big feminine launch for Cartier since the release of Délices de Cartier in 2006 and Mathilde Laurent’s first contribution to the prestige side of Cartier (she has already explored quite successfully the niche market with Les Heures de Parfum collection.) It is a bright, fresh floral composition promising luminosity and softness. The initial impression of Cartier de Lune is that of sparkling pink pepper and green leafy notes set against a rose dominated floral accord. 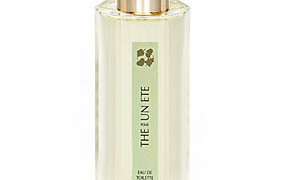 The sheer modern floral notes have a very clean and bright effect—which is often called petally by perfumers. While the rose is the strongest impression, the floral accord is quite well-blended and multifaceted, reflecting lily of the valley and freesia one moment, and violet and jasmine the next. Framed simultaneously by a strong green ivy leaf note as well as by the effervescence of aldehydes, the whole composition retains its promise of luminosity and airiness. This fresh, soft feeling is maintained in the light musky-woody drydown. Cartier de Lune is all about subtle touches, which is a marked break from the opulent oriental Cartier past (Must de Cartier, Le Baiser du Dragon, and even Délices de Cartier). Its refined prettiness and delicate sillage of sheer rose petals and clean musk are not likely to provoke strong feelings. This is precisely my main qualm with the fragrance: it does not stray beyond the commercial safety zone. While undeniably well-made, it is so smooth and soft spoken that it does not leave a strong memory. Cartier de Lune occupies the same radiant fresh floral territory as Estée Lauder Pleasures, Christian Dior J’Adore and other fresh commercial florals. As such, it has tough competition. I miss the novelty and the tension that Laurent has thus far infused in her other Cartier creations as well as her strong signature, whether she is rendering the sheer allure of peony in VIII L’Heure Diaphane or the austerity of woods in Roadster. Therefore, for a brand with its own in-house perfumer to not push the envelope a bit more on its big feminine release feels like a missed opportunity. 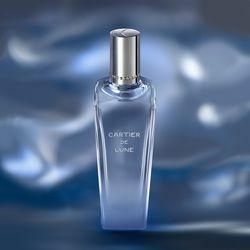 Cartier de Lune (fragrance family: floral) includes notes of pink pepper, juniper berries, honeysuckle, wild rose, cyclamen, bindweed (morning glory,) lily of the valley, musk, and woods. It is now available from Cartier boutiques, Neiman Marcus, Bergdorf Goodman, and Saks5thAvenue. Victoria: It is different from them in that Cartier de Lune is much softer, almost a modern aldehydic rose. The other two are more abstract florals, sharper. But the impression overall is fresh and luminous. Granted, there are so many fragrances in this genre that it is difficult to see how to make it new. Smells like it could do well commercially. Victoria: B, anyone who likes fresh, delicate florals will enjoy it. I prefer Pleasures in this genre, because it has a very distinctive character. Cartier de Lune is very limpid and pale next to it, but given that it is positioned as delicate and soft, it is successful as such. dee: When I first heard about this one, I was excited, because it meant that I would (financially) have access to something new from Laurent… but as soon as I saw photos of the bottle, but hopes were dashed. My first thought was of the Hermes Jardin series, which are nice, but not for me. “Looks like Water!” rang through my head. Victoria: Jeanine, thank you, I try! Lily: V, would you say this could be a decent office scent or is it distinctly lacking in character, despite all its bindweed glory?